Psst! 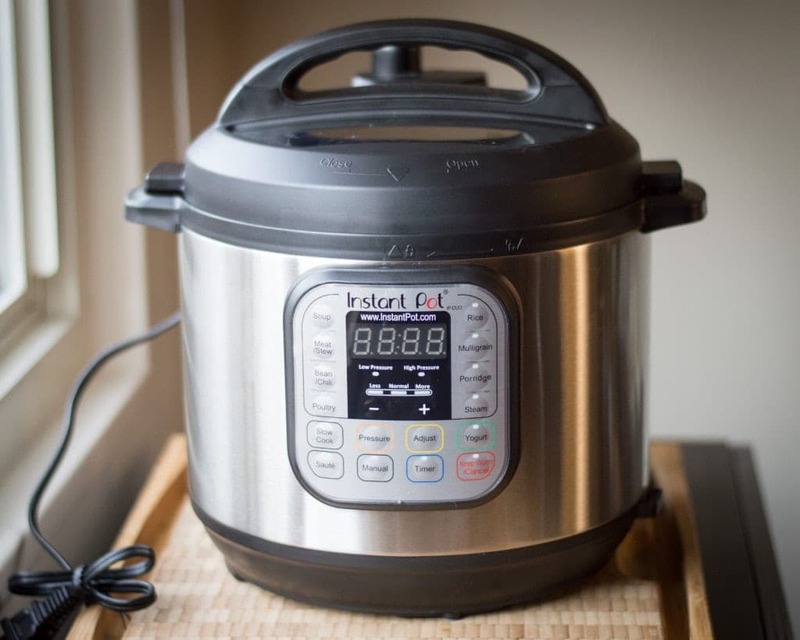 At the bottom of this post, you’ll find a coupon code for the Instant Pot! 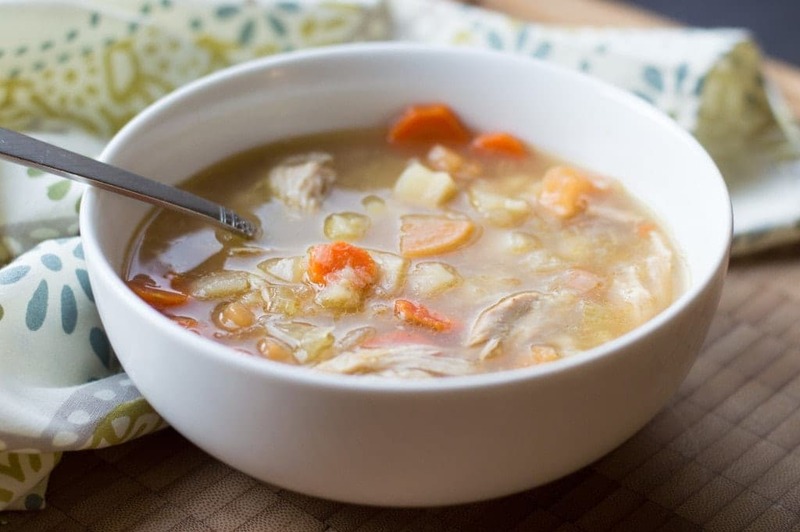 Whether you’re doing a Whole30, Paleo, Gluten Free, or Just Plain Common Sense (my favorite option) diet overhaul, this chicken soup recipe fits the bill and then some. The broth is full of flavor thanks to a generous assortment of diced root vegetables, including parsnips, carrots, and my favorite, rutabaga. I’ll admit it, I’m one of those folks who resolves to clean up their eating every January 1st. With the lure of holiday food out of the picture, it’s the ideal time to start anew, cultivating healthy habits that may have fallen by the wayside over the last couple months. A brimming bowl of vegetable-filled soup is a great way to kick things off. I’ve included instructions for making the soup in two different ways — you can either prepare it on the stovetop, or in a programmable electric pressure cooker. I was lucky enough to receive the Instant Pot model as a holiday gift, so that’s what I used for the bowl of soup you see pictured above. I’ve made this recipe both ways over the years, and I have to say the pressure cooker wins for convenience and time, with no sacrifice of flavor or texture whatsoever. My friends Michelle and Danielle are practically evangelical about the Instant Pot, and after preparing soups, stews, beans, and grains in my own this past week, I can see why! You can expect to see pressure cooker and conventional instructions for lots of recipes in this space from here on out. 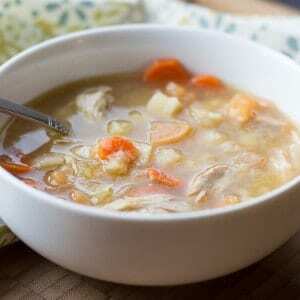 A comforting bowl of chicken soup, with lots of vegetables for a flavorful broth. Layer all of the ingredients in the pot, pouring in the chicken broth last to avoid splashing. Cover the pot and set to “Soup” setting. Wait for program to finish and pot to depressurize. When you can safely open the pot, remove the drumsticks with a slotted spoon and allow them to rest just until cool enough to handle. Remove the meat from the drumsticks, discarding the bones, skin, and cartilage. Return the meat to the pot with the other ingredients. Check for seasoning and salt to taste, if desired. Ladle into bowls and serve. Add all of the ingredients to a medium (5 to 6-quart) heavy bottomed soup pot or dutch oven, pouring in the chicken broth last to avoid splashing. Cover the pot, then place it on the stove over medium heat. When the soup comes to a boil, turn down to low and let simmer, covered, until drumsticks are tender and the meat is just beginning to fall off the bones, about 1 hour and 15 minutes. Remove the drumsticks with a slotted spoon and allow them to rest just until cool enough to handle. 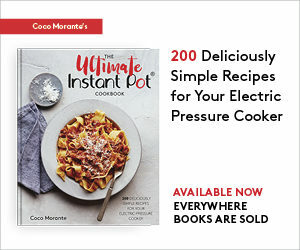 To receive $50 off your order of $140 or more, enter coupon code “Coco” at the Instant Pot Online Store! through and shop, I will receive a small sales commission on your purchase. Thanks for supporting Lefty Spoon! This looks super yummy. How long would this need to cook in a regular pressure cooker? 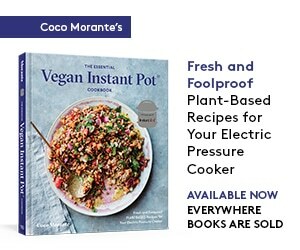 Sounds terrific, but I too need the regular electric pressure cooker time/instructions. In general, a stovetop pressure cooker will need about 15% less time than the Instant Pot. As such, I’d do 25 minutes at high pressure, rather than the 30 minutes of the Instant Pot’s “Soup” setting. OMG! This is the best chicken soup I’ve ever had in MY LIFE! I just got an Instant Pot and have been testing different recipes. I had made some chicken bone broth so used that in this recipe. This one is a keeper! I’m going to print out and start an Instant Pot recipe binder. Thank so much.